japanese toys, japan, sailor moon, sailormoon, sailor stars, anime, heart compact, doremi compact, yutaka, 1996. Here is the Doremi Compact for Sailor Stars. Made by Yutaka in 1996. The toy contains two AA sized batteries which can be seen within the packaging. There is the possibility that the parcel it is contained in might be withheld by postal customs officials for inspection. This may cause an unexpected delay in the postal delivery. Thank you for your understanding. 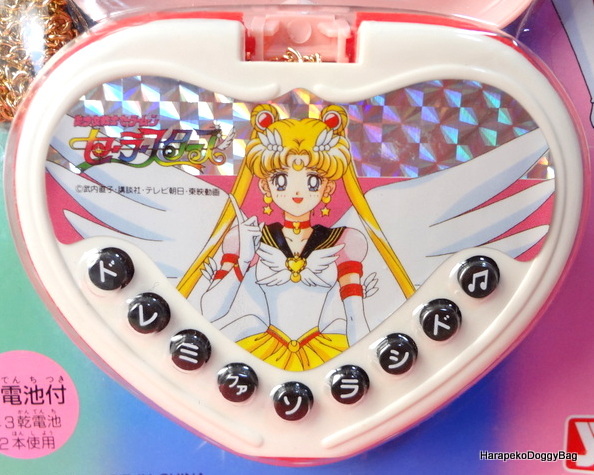 Keywords: japanese toys, japan, sailor moon, sailormoon, sailor stars, anime, heart compact, doremi compact, yutaka, 1996.